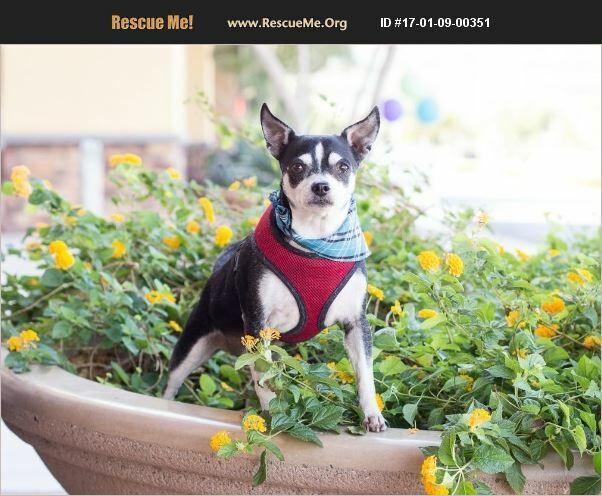 Arizona Rat Terrier Rescue View other Rat Terriers for adoption. Andouille comes to us from a gentleman who has fallen on some very difficult and hard times and can no longer take care of his dog. It is a very sad situation, but, he is doing what is best for him. He is about 6 years old, and weighs around 15 pounds. He loves to walk, so exercising and getting out with him will be easy and fun. He is potty trained. He gets along well with other dogs, however, he will correct others if he doesn't want to play. He is great around all people, and does well with children. He is a calm, quiet gentleman. Seems to be an easy going kinda dog, and should fit right in almost anywhere he goes. If you are interested in giving this gentle guy a new chapter in his life book, let us know. As part of your adoption package, each dog will be fully vaccinated (Da2PP, Rabies), have a microchip (with lifetime registration), and be spayed/neutered. If the dog is not spayed or neutered at time of adoption, the adopter will be responsible to transport the dog, to and from dropoff/pickup point. Each dog will receive 6 mths of heartworm preventative medication. You will receive a free bag of premium dog food, and a gift card from Choice Pet Market. You are entitled to a free physical exam with one of our vets. Each of our dogs comes with 4 training classes that are mandatory to attend. These classes take place at Choice Pet Market in Chandler on a Tues or Wed evening from 6-7 pm, and will be scheduled after adoption.